Trigger warnings for mental illness and mentions of suicide and self-harm. I’ve struggled with mental illness for as long as I can remember. I remember writing in a diary when I was nine years old that “if I died, everyone would throw a party.” In 10th grade, I urged my physician to get me into therapy. I ended up seeing a therapist that March, later getting on medication that spring to help with my diagnosed depression and anxiety. I saw that therapist every week for three years, having to end my time with her only because both of us were moving. Mental health so routinely ignored, yet something that affects nearly everyone. 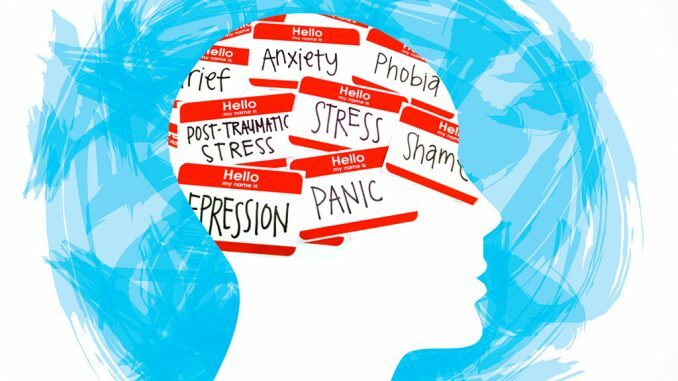 Even those without a diagnosed mental health condition have known someone who has or have themselves experienced some sort of extreme stress or emotional distress, causing them to seek some professional help and assistance. College, which is a transformative time in people’s lives, is also one that is incredibly stress-inducing; take note of some of the conversations you have with your peers, and watch as it becomes a competition of who got the least amount of sleep, who has the most mental breakdowns, who is the most stressed. At SUNY Oneonta, every student only get 10 sessions of counseling for their collective time at college (which typically averages out to four years). Not only is going from seeing a mental health professional every week for three years, to being given 10 sessions for four years a drastic change that only increased my anxiety, but it is completely unrealistic and unfair. The student group, Oney Advocates, has shared fliers around the campus that demonstrate this deficiency in mental health support, noting how other SUNY campuses, similar or smaller to us in size, have more extensive mental health systems and programs. SUNY New Paltz provides eight sessions per semester for all their students, SUNY Cortland with 8-10 sessions per semester, SUNY Oswego with four to seven sessions per semester, and SUNY Cobleskill with eight sessions per semester. Some SUNY schools have clearly made mental health support for their students one of their top priorities, with SUNY Brockport providing unlimited sessions for all their students, and with SUNY Geneseo providing one session every two weeks for all their students. While some might argue that, “it’s not realistic to give every student a session every day of the year,” it’s definitely realistic to provide students with enough consistent resources to utilize if need be, because it’s done at other places. The theory for SUNY Oneonta’s system is that once the 10 sessions are up, students must go off campus for individual sessions to pay out of pocket or rely on insurance. Not only is there the lack of financial stability for many students, but there’s also the lack of off-campus mental health resources. There are very few counselors in town who are so overbooked that they rarely accept clients. We also need to take note at the lack mental health resources that are specific to those of marginalized communities, where rates of mental illness are even higher. There are no advertised therapists on campus that specialize in supporting mental health for students of color, LGBTQIA+ students, among many other identities. Especially in a conservative town like Oneonta, finding resources specific to helping marginalized communities is near impossible. Whatever off-campus resources there are also lack accessibility without personal vehicles. As reported by the National Alliance of Mental Illness (NAMI), “75 percent of lifetime cases of mental health conditions begin by age 24.” By the time the traditional college student is expected to graduate college, they will be around 22 years old. Experiencing symptoms pertaining to various mental illness at ages under 22 only leads to lifelong mental illness, as your brain is still not done fully developing. NAMI also reports that “almost 73 percent of students living with a mental health condition experienced a mental health crisis on campus. Yet, 34.2 percent reported that their college did not know about their crisis.” There is clearly a disconnect between students and the resources they need, because students feel as if they can’t hey can reach out to the college about their crisis, and with that high percentage of students silently fighting this fight alone, the stigma only gets worse. We can’t use the excuse about budgets for mental health resources, because this is a problem across institutions of all sizes, from public state schools to Ivy League. It’s not that we don’t have money — it’s that the money isn’t being used to prioritize mental health. The finances and are there (because we see many different things popping up and around on campus that are clearly expensive), and they should be allocated towards counseling and wellness, because the students’ humanity should be the school’s priority. NAMI reports that “colleges across the country have reported large increases in enrollment. At the same time, college counseling centers have also observed an increase in the prevalence and severity of mental health issues experienced by students and an increase in the number of students taking psychotropic medications.” So while we accept more students and while more students end up going to college, there should be an even high demand for good resources. The issue of mental illness is only getting worse, and is starting to affect children at even younger ages, with NAMI reporting that, “1 in 5 children ages 13-18 have, or will have a serious mental illness,” also noting that “suicide is the 3rd leading cause of death in youth ages 10 – 24.” As more young people who struggle with mental illnesses enter higher education, the support and resources are not matching up with the population’s needs. I graduate from SUNY Oneonta in about a month. These past four years have been memorable and incredible, but I have also suffered from my mental illness in extreme ways and have been put under immense amounts of stress during my time here. I know that once I am home and settled in my own place for a consistent period of time, that I will be able find a full time, individual therapist. However, there are still many students here, and many students coming in, who need these resources for the time they are at college. While it may seem like a short period of time, but these four years are going to be long, intense, and difficult. With many students coming from across the state (as far as Long Island), Oneonta ends up being our second home. We should be given the resources we need while we’re here, not matter how long we are here for and before it becomes too late.